A little progress is better than no progress, right? I had big plans to start quilting a quilt on Saturday, but that got kicked to the wayside in favor of spending some time with my sister and her husband (who also just happen to be buying a house!) and volunteering in the evening. I hemmed some curtains on Saturday (go me!) but that was the extent of my sewing. Sunday afternoon I went back to work on Good Fortune. My first task was to get the spacer border added. I double checked my math and cut my background strips. These zipped on extremely quickly, other than the fact that one WOF was *just barely* too short for the sides, so all four border strips had to be pieced. Next came the arduous task of making the chains of HSTs for the green sawtooth border. 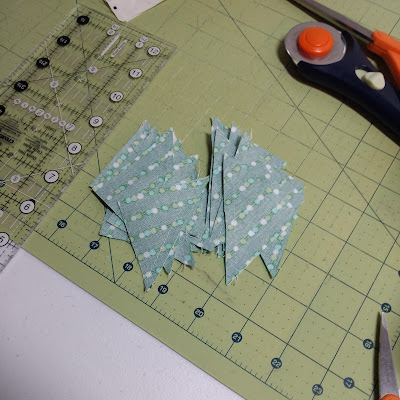 I realized that I didn't have quite enough HSTs for all four sides, but figured that I would rather get as far as I could get and then figure out exactly how many more green HSTs I would need. With the HSTs that I already had made, I was able to complete three of the four sides, and start the piecing of the fourth and final side. Much of the border wobbly-ness that I was slightly worried about after adding my spacer border as been evened out after adding the HST border. So now I'm back to making HSTs. All are sewn and ready to be trimmed and pressed. 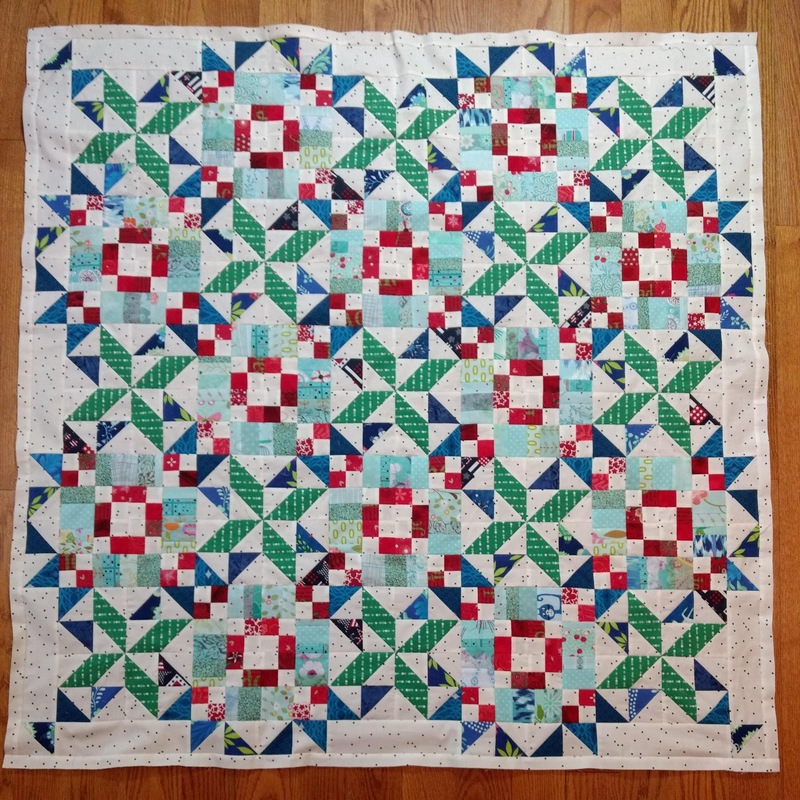 Bonnie's directions have a neutral border between the green HSTs and the blue QSTs, however my quilt top is currently the perfect size for adding the blue QST border with an even number of units. 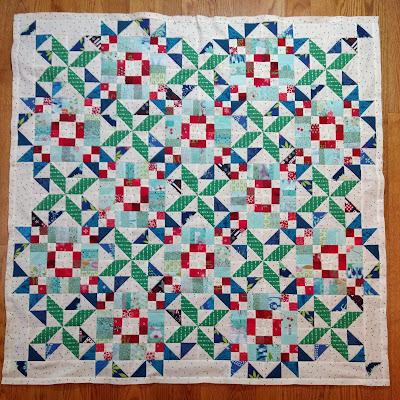 That would mean skipping the neutral border between the pieced border -or- adding a much wider pieced border to get the quilt width to the right size. I will need to make about a dozen more QST units, so I am leaning towards skipping this spacer border because I am almost out of background fabric. My quilt will then end up around 54", which is right about the same size as my finished ORL quilt. I've seen some other creative solutions on the Quiltville Facebook group that I might also consider. What do you think? Check out Bonnie's finished version of the quilt here and give me all of your creative solutions. 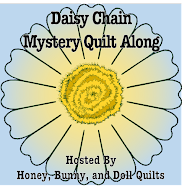 Sharing at Oh Scrap, Linky Tuesday, and Needle and Thread Thursday! 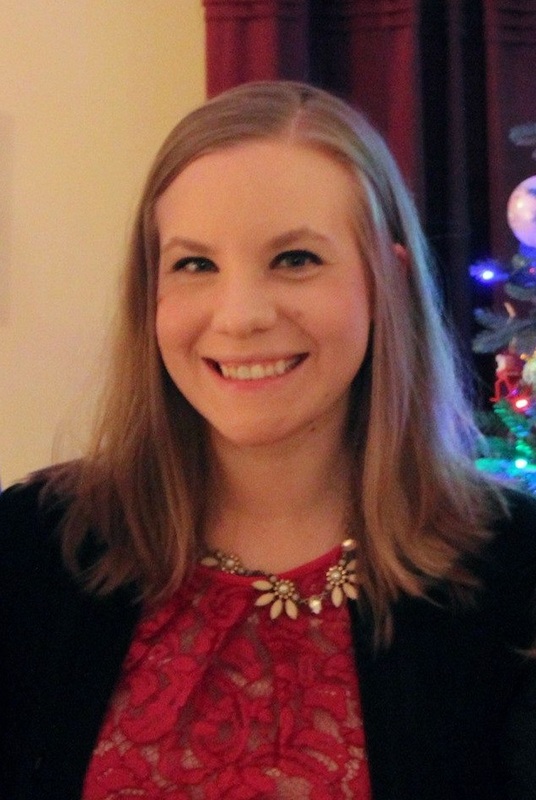 Also sharing at Bonnie's final Good Fortune link up! 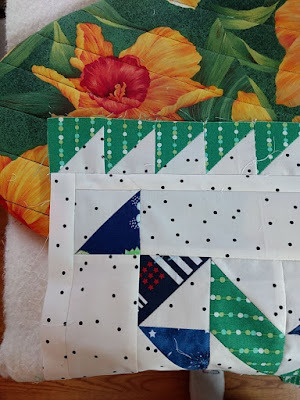 I have made some progress on the quilt since I wrote this blog post, so hopefully I will be able to share my finished top by the end of this week! I love your GF! It makes me want to make another. I've said it before...your colors make this quilt! That is so pretty, Allison! I really the pops of red among the greens and blues. Your green fabric is one of my favorites - I've used it in a couple projects and wish I had more! I really like the colors you used! I haven't started mine yet. The green HSTs look great and it's awesome that you are close to having the final side of that border ready to go. Your quilt is turning out great Allison, love the colors you used! I love your colors for this! It's really nice how the light blues fade into the background. 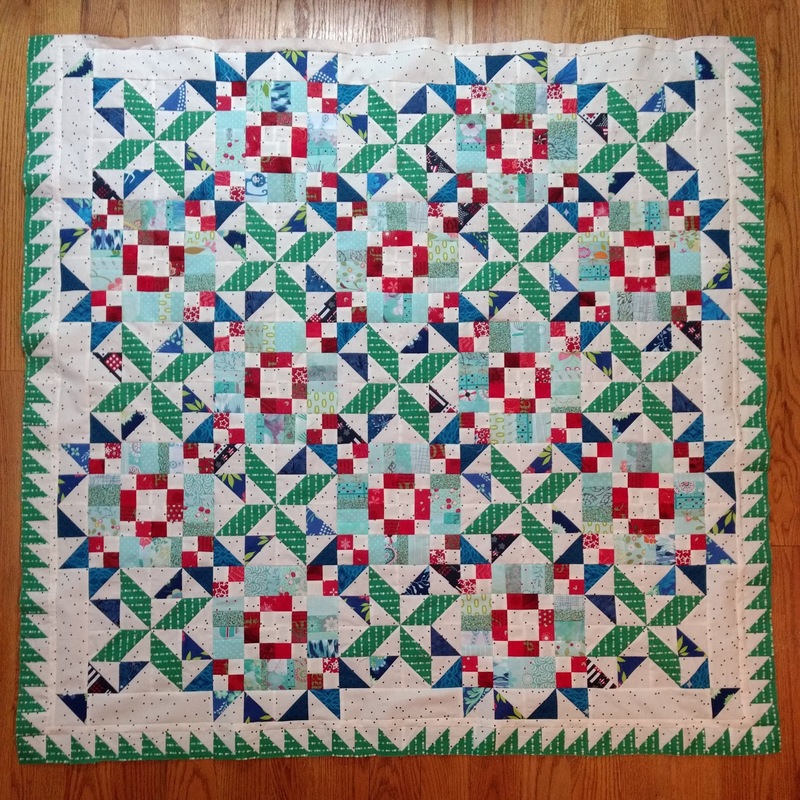 It completely changes the look of the quilt for the better. I love how this quilt looks in your colors. And the size is my favorite for a cozy throw quilt. I love your colors of Good Fortune. They are so soothing and yet bright. Nice job! Love your version of Good Fortune! The teal with the red really works. Your colours are very striking. It is looking fantastic! Love how it's looking, Alison!!! Your colors turned out beautifully!